Mavis E V Joseph-Logavatu, was appointed Chairperson of the Pacific Women in Maritime Association (PacWIMA) at the conference held in Tonga from the 11 to 15 April 2016. She is currently the Maritime Safety Authority of Fiji’s Legal Risks & Audit Officer. Ms Joseph-Logavatu, has received various training and at IMO IMLI and had attained the Masters in Maritime Law. Below is her interview with the Fiji Sun. FIJI SUN (FS): What was your reaction when you were appointed? MS JOSEPH-LOGAVATU (J-L): I was humbled by the confidence of my peers to Chair PacWIMA and I knew that it was an important responsibility. 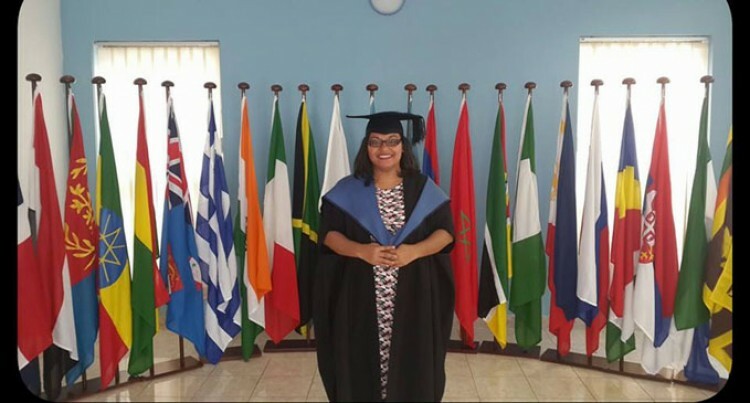 I was also confident to take on this role because of the training I received at IMO IMLI in attaining my Masters in Maritime Law, the support of my employer – the Maritime Safety Authority of Fiji, my husband Joeli Logavatu and the opportunity to work with a team of women professionals for the empowerment of pacific women in the maritime sector. FS: As chairperson, what are your plans for PacWIMA? (i) Development and adoption of State WIMA Constitution template in July 2016. (ii) Development and adoption of the PacWIMA Logo. (iii) Development and adoption of the PacWIMA Constitution in August 2016. (iv) Establishment of a Facebook page for the dissemination of information and an online interactive forum for issues relating to maritime affairs affecting women, girls including youth, and males in June 2016. (iv) the STCW audit for the Samoa Administration in October 2016. (i) PNGWIMA having its 3rd biannual conference in Port Moresby, Papua New Guinea in June 2016 under the theme “Women are better leaders then what they think,” supplementing some of the key topics discussed and outcomes arising from the Conference; namely, linkage of energy and transport efficiency and climate change – roles women play in addressing these emerging issues. (ii) Fiji officially launching Fiji WIMA on the 28th September 2016. (iii) Solomon Islands, Tonga and Cook Islands currently working on establishing their State WIMA’s with PacWIMA and SPC providing the requisite support. PacWIMA is currently working on the other Resolutions including the development of PacWIMA’s Website and seeks to maintain visibility by supporting existing regional networks for women, including discussions with key stakeholders in the maritime sector at both national and regional levels. (xi) Collaborating with SPC and IMO to host the next PacWIMA Regional Conference in April 2018. (i) Having the opportunity for further education/training – this requires the support of employers. (ii) Recognizing the social responsibilities relating to women. (iii) Gaining respect of peers. (iv) Changing perception that only men can and should do certain work – in this day and age, everything should be competency based. (v) Women having the opportunity to be in a leadership role. FS: Do you think it is a male dominated industry? J-L: Yes, and statistics support this. However, this is in no way negative for our fellow males in the maritime industry. The point is, women are becoming more aware of maritime as a career, be it, sea-based or shore-based. And one of PacWIMA’s functions is to make a tangible contribution towards the fulfillment of the United Nations Sustainable Development Goal (SDG) 5: Achieve gender equality and empower all women and girls. There are women who are now leaders in their own capacity serving at different levels, especially for shore-based employment, so the gap is slowly closing. However, there is much more to be done including opportunities for women in sea-based employment. So in time, there will be gender equity in maritime. FS: What will PacWIMA do to break this? J-L: As stated in 2 and 4 above. FS: When will be PacWIMA’s meeting and where? J-L: The Executive Committee of PacWIMA will meet in April next year in Tonga and there will be a PacWIMA Regional Conference in April 2018 with the venue to be confirmed.